If you have a newer drive or other device that only includes the "SATA" power input, but your computer's power supply only has the solves the problem. 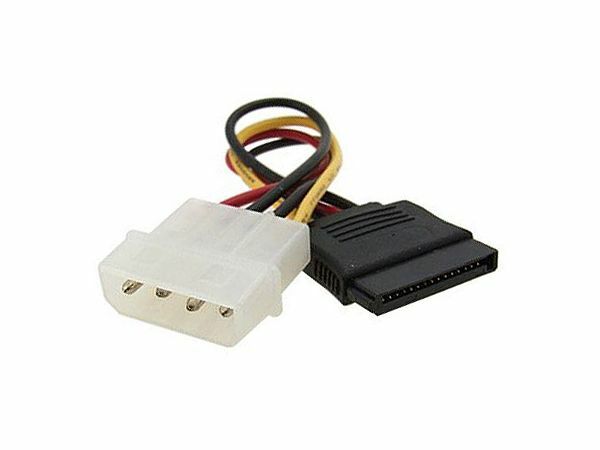 Plug the 4-pin connector into the power supply output cable and the other (SATA) end into your drive. 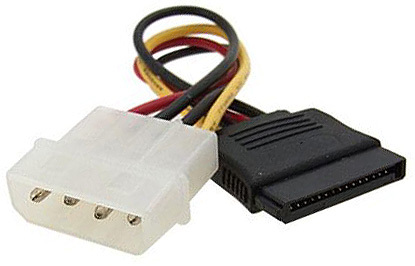 Adaptor has male 4-pin connector and female SATA connector.